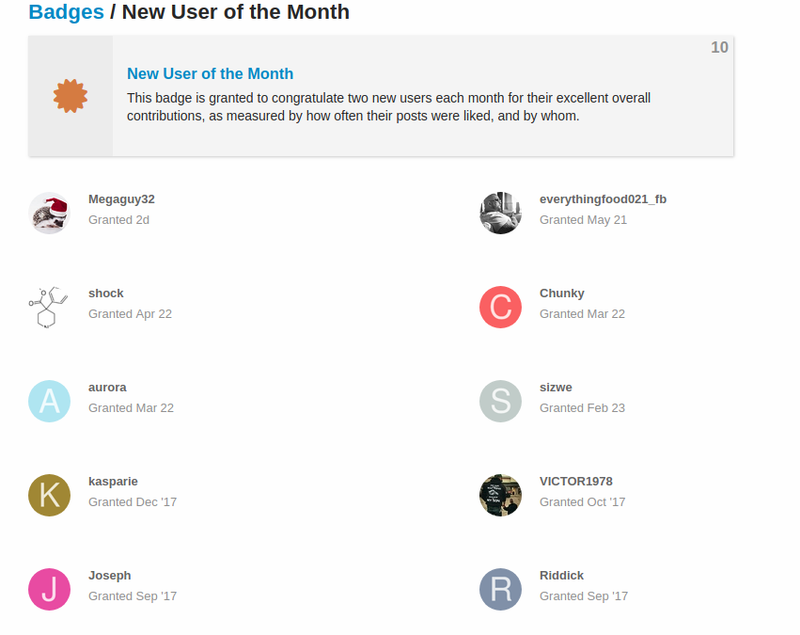 This badge is granted to congratulate two new users each month for their excellent overall contributions, as measured by how often their posts were liked, and by whom. Spin must fall....!! !spin must fall...i want my badge!! You need a centre of the wug badge.